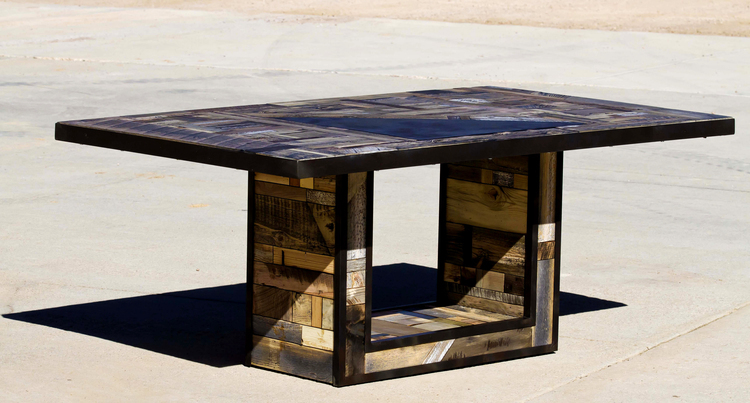 Reclaimed Table 39 with it's steel inlays, steel edge banding and mosaic look is sure to be a conversation piece in your home. We use as many sources and species as possible to create this high character piece. This is the perfect dining table for a minimalist environment where it's surroundings are clean and modern. Adding this to your space will provide art and functionality.